In his mid-June encyclical, Pope Francis placed the blame for climate change squarely on the shoulders of humanity and lamented their “widespread indifference” to the tragic impact of environmental degradation and its continued effect on vulnerable populations around the globe. Research and programs at Loyola Marymount University are currently addressing how the changing climate impacts the impoverished, including a collaborative new endeavor to develop tools for cities to increase their resilience in the face of environmental decline. “It is encouraging to see that Pope Francis – who has a degree in chemistry – is crossing the historical divide between religion and science,” said Jeremy Pal, Ph.D., a Loyola Marymount University professor of civil engineering and environmental science. Pal was among the contributing authors on the Intergovernmental Panel on Climate Changes (IPCC), an international collaboration of scientists that shared the 2007 Nobel Peace Prize with Al Gore. Much of Pal’s research aims to identify areas that are vulnerable to climate change, including two National Science Foundation-sponsored projects that investigate the impacts of climate and land cover change in fragile West Africa. Much more needs to be done, however, Pal said. Another LMU effort with which Pal is affiliated is the Mediterranean City Climate Change Consortium (MC-4), which is housed at LMU’s Center for Urban Resilience. 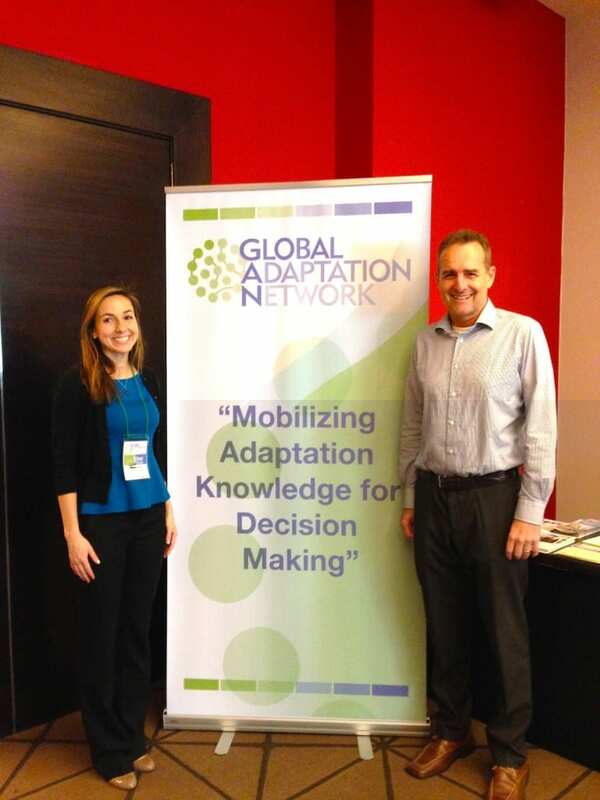 Laurel Hunt and Jeremy Pal at the Global Adaptation Network forum in Panama. Because of their involvement with MC-4, Hunt and Pal were recently invited to Panama to participate in the first United Nations Global Adaptation Network Forum, which brought together more than 100 professionals from research institutions, academia, political bodies and non-governmental organizations to share ideas on addressing climate change. While individuals can certainly do their part to reduce their own greenhouse gas emissions, Pal noted that sweeping change must come at the policy level. That’s an area where MC-4—with its focus on climate change at the city level and ability to bring together a global network of practitioners, policymakers, business leaders and academics —could exert influence.